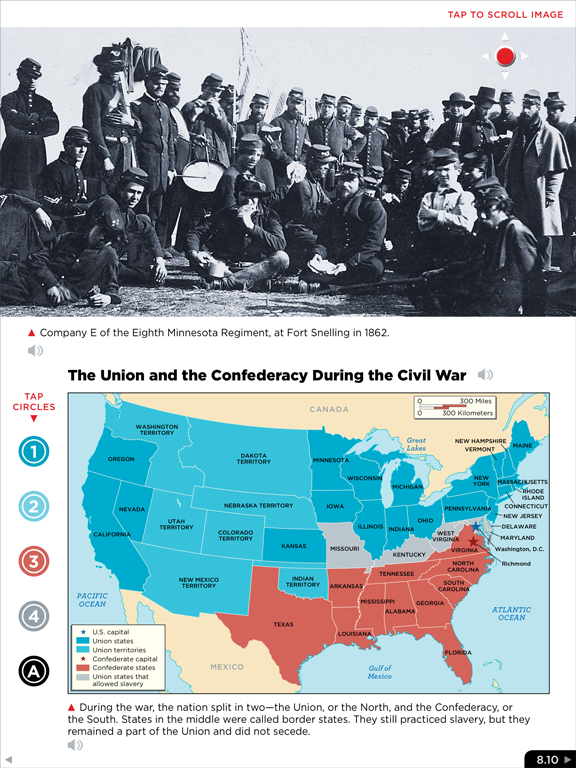 Colorful primary sources and engaging personal stories from the Minnesota Historical Society's collections bring our state's history to life. 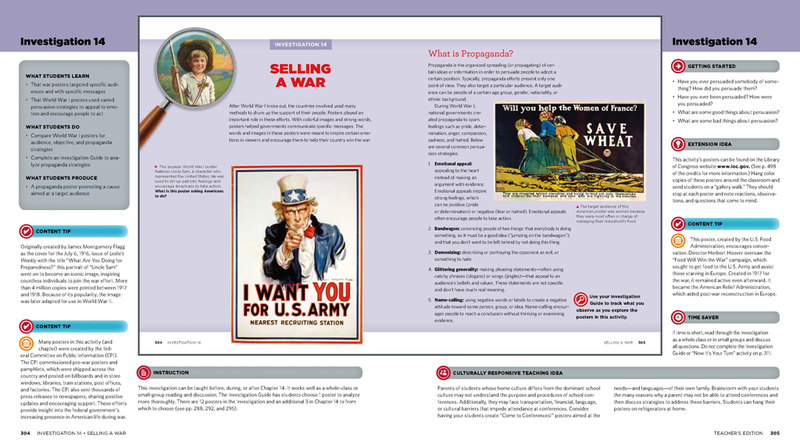 Student-friendly sidebars engage students as they develop critical thinking skills. 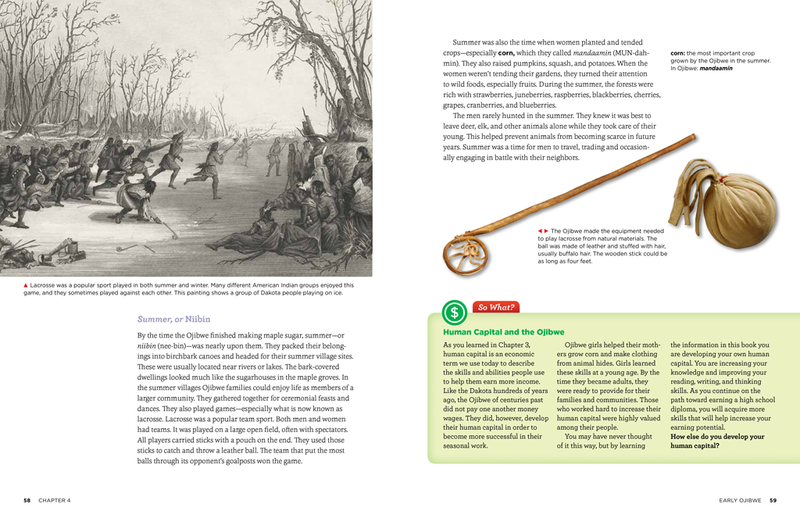 The Interactive eBook is available via iPad app and browsers for PCs, Macs, Chrome Books and Surface Pro. Contact Matt Horstman for a preview. 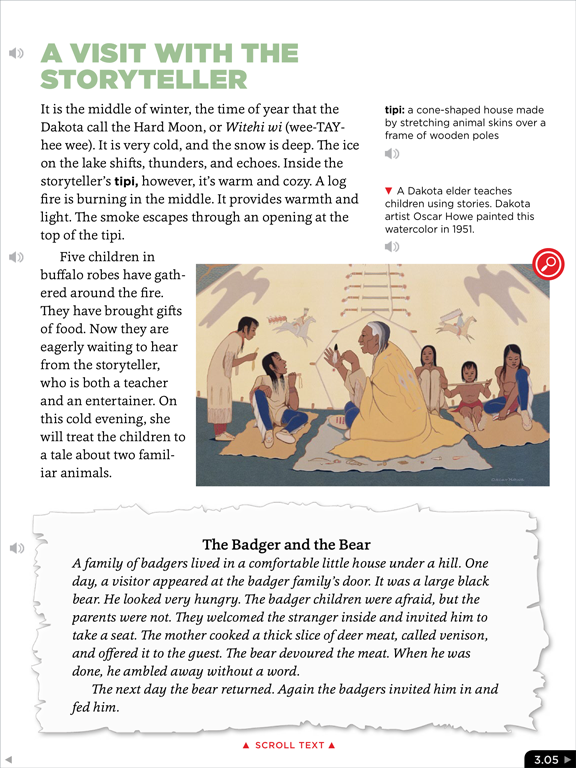 Print Student Editions cost $20 when purchased with a 5-7 year eBook subscription. * Ask about pricing for shorter subscriptions. 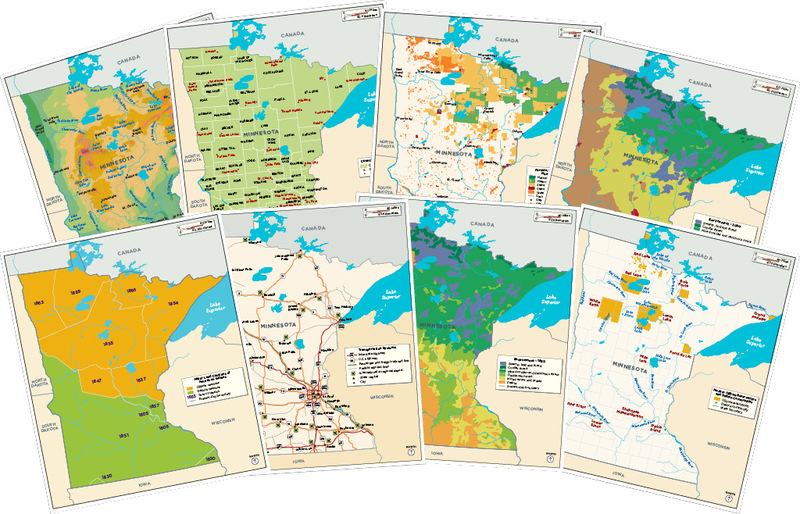 Set of eight 24" x 30" posters of Minnesota maps from the Northern Lights, Revised Second Edition. 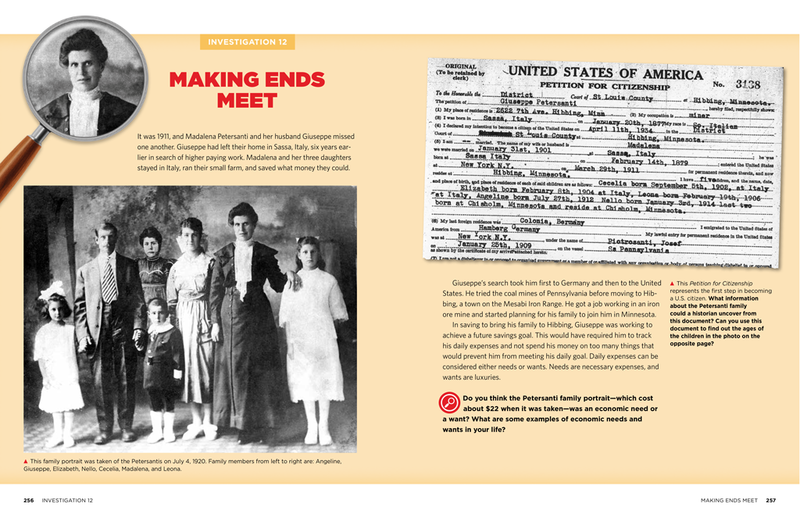 The ATE and Workbook are sold together as a 2-volume set providing teachers with a range of additional resources. Included in the hardcover, spiral-bound ATE is the Student Edition, plus additional content, best-practice teaching tips and activity ideas. 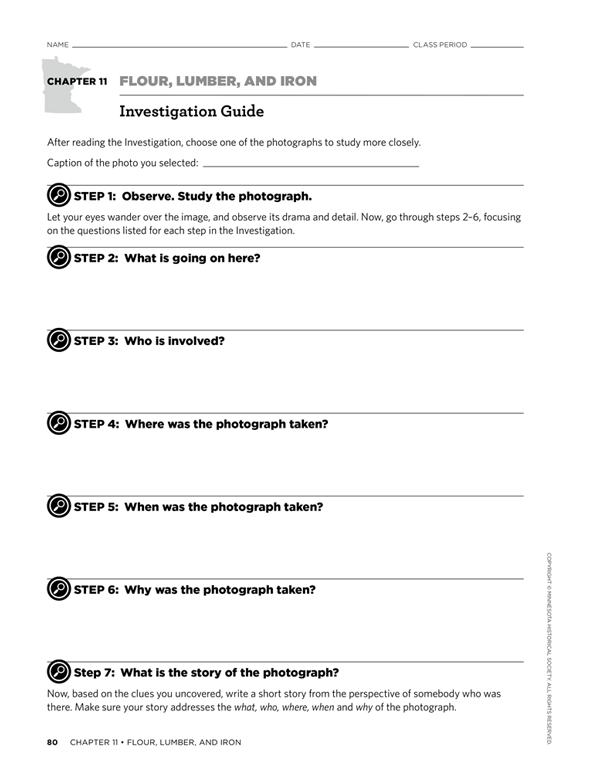 Reinforcing student learning is easy with the worksheets, tests and answer keys found in teh soft-cover, blackline master Workbook. 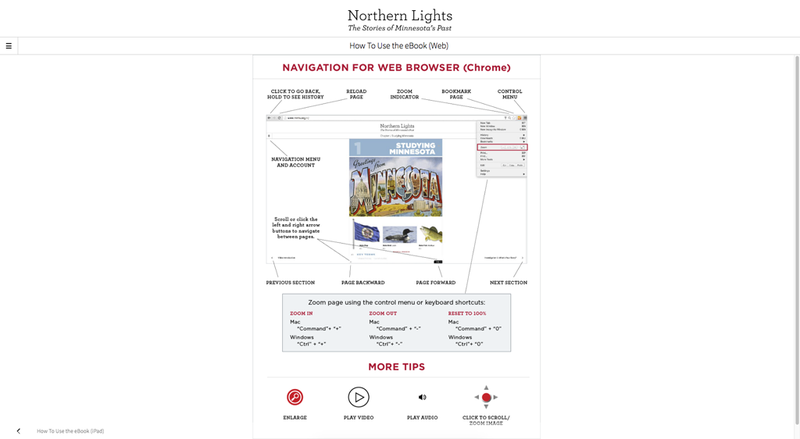 Edit the Northern Lights worksheets to tailor activities to your students' needs. 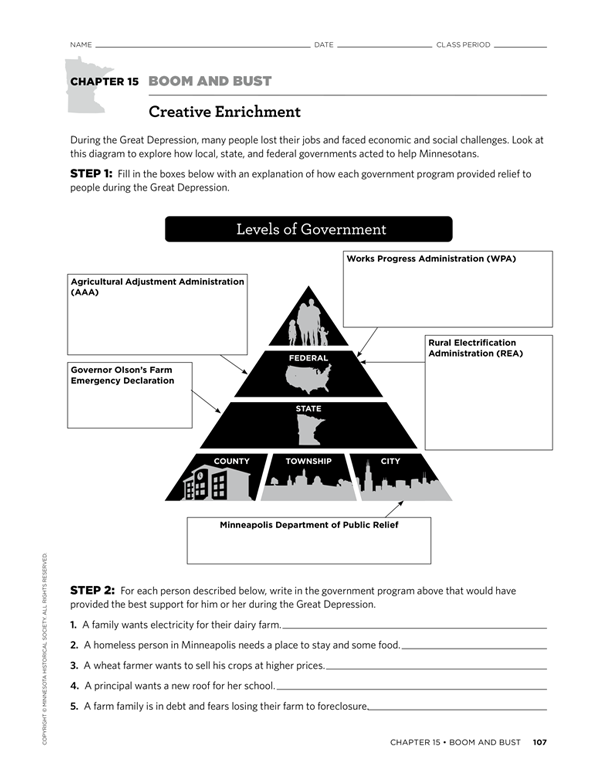 Includes original worksheets as Adobe PDF documents and editable Microsoft Word documents. 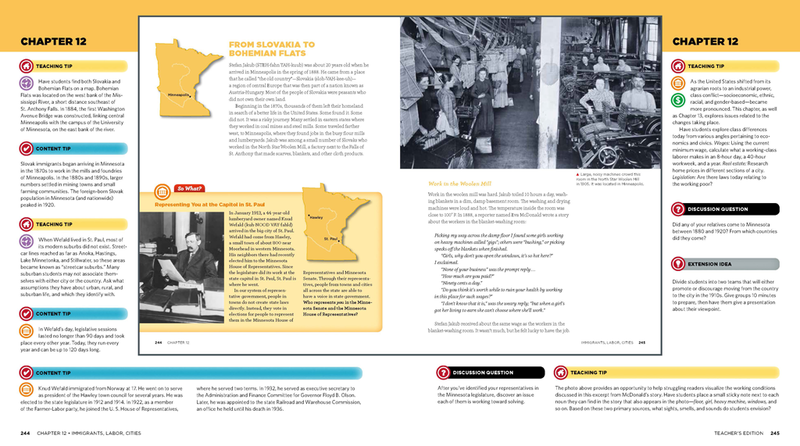 The Minnesota Historical Society offers professional development on the Northern Lights curriculum and other history topics.